This is a picture of my grand father (William John Bathie 1895 - 1961) whilst serving aboard HMS Marlborough. He joined the RN in 1913 just in time for WW1. Probably just after WW1 he was either stationed or had shore leave whilst up in Cromarty when one of the local lasses took a fancy to him and the rest as they say is history. 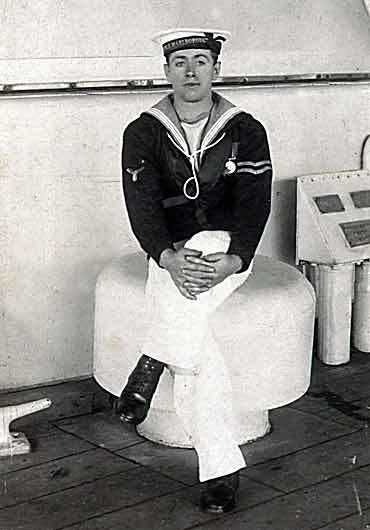 He completed his stint in the RN in 1935 but was amongst the first called up in 1939.